Lately I’ve become interested in workplace ostracism as a form of workplace aggression. Most research lumps ostracism with other forms of mistreatment (incivility, bullying, etc. ), but a recent chapter by Sandra Robinson and Kira Schabram (in press), has convinced me that it is in fact quite different, and possibly much more painful than other forms of workplace aggression. So what is ostracism? Unlike other forms of workplace aggression, ostracism is an act of omission rather than an act of commission (Robinson & Schabram, in press). 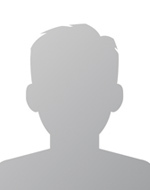 Failing to acknowledge, include, or invite a colleague when it would normally be expected that this colleague should be acknowledged, included, or invited are all forms of ostracism. Most of us are familiar with ostracism. As kids, we were probably on the receiving end of ostracism at some point, and whether we like to admit it or not, most of us also participated in the act of ostracizing others. One would think that by the time we become adults, we are mature enough to stop engaging in this form of behaviour. Not so. A recent study by O’Reilly, Robinson, Banki, and Berdahl (in press) found that 73% of employees in their sample reported experiencing at least one incident of ostracism in the last six months. Why do people ostracize others? There are many possible reasons. The first is to punish another person as a way of influencing his or her behaviour. For instance, if someone does not like how a colleague is acting at work, they might ignore him/her as a way to change his/her behaviour. Other times people ostracize by accident. They are busy or thoughtless and accidentally exclude a coworker. However, according to Robinson and Schabram (in press), perpetrators often engage in ostracism as a form of self- (or other-) protection. For instance, to avoid dealing with awkward or uncomfortable topics/emotions, the perpetrator ostracizes the source of those topics/emotions. A useful approach for the perpetrator to be sure, but he/she should be aware that they may be causing acute pain to the target. Why is ignoring a colleague so bad? Well first let me give you the hard data. A vast body of research in social and applied psychology has demonstrated that being a target of ostracism (at work or elsewhere) produces acute psychological pain (Eisenberger, 2012), and is even worse than more overt forms of aggression such as being yelled at or undermined (O’Reilly et al., in press). Eisenberger et al. (2003) conducted a study in which participants were socially excluded, and ran fMRI scans on the participants. Their findings paralleled physical pain studies. In other words, the same areas of the brain “lit up” for those who were excluded as for those who experience physical pain. Interestingly, although ostracism may be particularly painful when it comes from an in-group member, such as a friend, it is even painful when it comes from a despised outgroup member. Gonsalkorale & Williams (2007) found that ostracism was painful even when it came from members of the KKK! 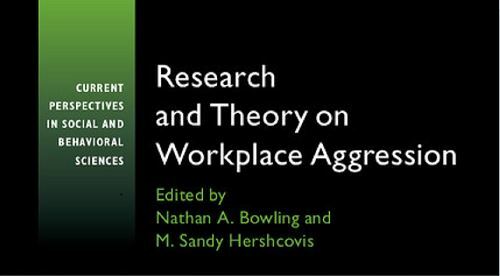 Look out for Robinson and Schabram’s fascinating chapter in Research and Theory on Workplace Aggression, edited by myself and Nathan Bowling.